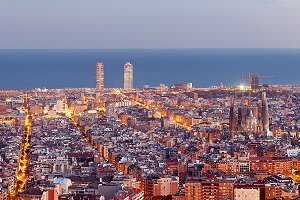 If you are coming to Barcelona on a business trip, to study or if you simply wish to spend as much time here as possible, then take a look at our wide selection of long-term apartment rentals in Barcelona. With great offers on a variety of long-term apartments in Barcelona, all fully-equipped, you will be sure to find your perfect accommodation with us. Our long-term rental apartments in Barcelona are situated in the best locations in Barcelona, and we have a fantastic selection of monthly to yearly rental apartments by the beach in La Barceloneta, as well as in the Eixample and the Gothic Quarter neighbourhoods. From monthly rental apartments in Barcelona to yearly rental apartments, here you’ll find the best deal for your long-term apartment in Barcelona.